Last week, Lindsey (@SaunteringWalk) and I decided that Initiative Check has been without it’s podcasts for too long, and as such, we launched a new podcast project. To that end, we’ve decided that we’re going to start a game club. We decide a game at the beginning of the week, and then by the end of it, we have to have at least five hours invested in the game. That number could change depending on the type of game, as you don’t really need five hours to decide if you like Super Meat Boy, but you probably need more than that to decide if you like Civilisation 5. 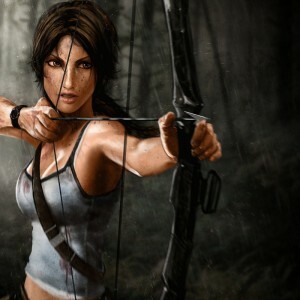 To kick us off, we decided to play Tomb Raider, the reboot from 2013. I won’t get into what we thought here, that’s for the podcast to tell you!